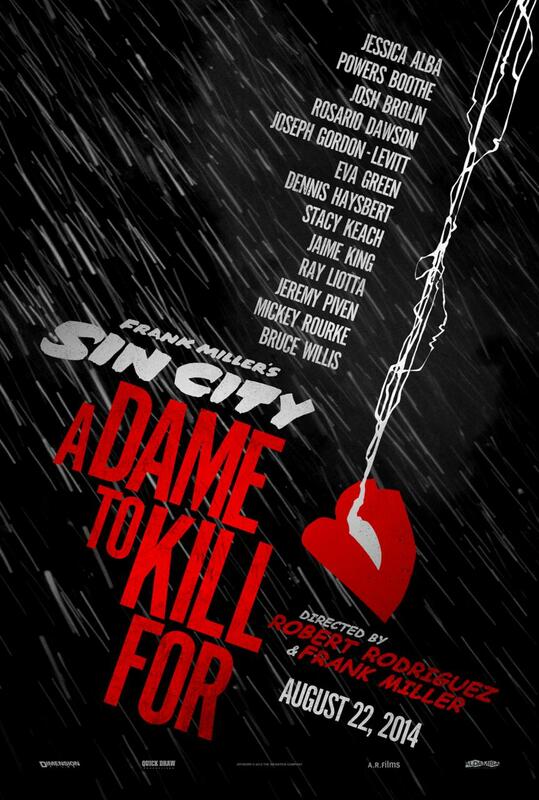 Posted on August 24, 2014, in Geek Punditry and tagged Bruce Willis, Dennis Haysbert, Frank Miller, Jessica Alba, Joseph Gordon-Levitt, Josh Brolin, Mickey Rourke, Robert Rodriguez, Sin City, Sin City: A Dame to Kill For. Bookmark the permalink. Leave a comment.